My Husband’s Wife… Jr. Legal Pad Cover | I Played With Paper Today! I love amusing stamps (both images and greetings) and have purchased quite a few of them. Unfortunately, they are not always appropriate for birthday, anniversary, thank you, and get well cards which is what I make/send most. While they are fun as “just because” cards, I often don’t have time to create and send cards like that. I originally saw some gorgeous notepad covers created by Kathy Krug which she posted in her StampTV Gallery (and HERE on her blog) and then found a YouTube video tutorial by Melissa The Stamp Doc (HERE) showing how to make them. I thought they’d be the perfect “canvas” for some of my sillier stamps and would make great stocking stuffers so I decided to make some for the Rolling Green Golf Club’s Holiday Boutique. I have to say I had a lot of fun with this project! 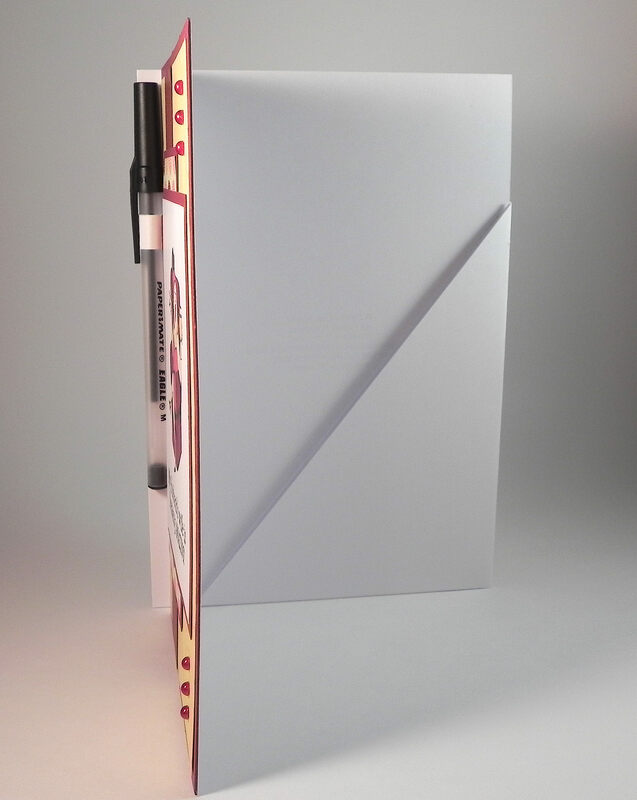 The cover was made with white card stock. Then I created a decorative panel and adhered it to the front. The printed paper is called “Savannah Dot” by Scrapworks. The solid card stock is Gina K Cranberry Tart and Sweet Corn. I created the pattern on the Sweet Corn card stock with a stamp called “Florentine Scroll Background” by Hero Arts and Gina K Sweet Corn ink. It’s hard to see in the photo above, but I added “texture” to the vertical Cranberry Tart strip with a stamp from the “Frame & Filler” set by Gina K Designs and Gina K Cranberry Tart ink. The adhesive pearls were from Michaels (in the “impulse shopping” bins by the checkout counter) and were a perfect match to the Cranberry Tart card stock! I made a pocket (a square envelope cut in half, diagonally) with my We R Memory Keepers Envelope Punch Board and adhered it to the inside, back panel. 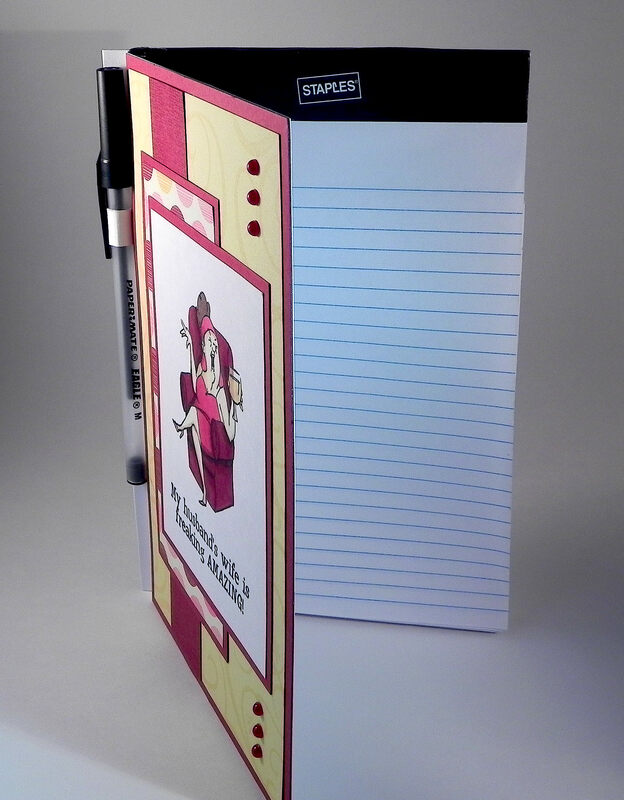 The back, cardboard panel of the note pad slips into this pocket which holds the notepad in place and allows for easy replacement when all the paper is used. The Jr. Legal Pad (5″ x 8″) was purchased at Staples. I love that gal image and that is one great sentiment. How sweet of you to mention me in your blog. I love the note pads and usually keep a few on hand. They make such nice little gifts to give. i also make one that fits the larger post it notes. These are great to have by the phone. Love your stamp and greeting on this card and a great layout and colors. 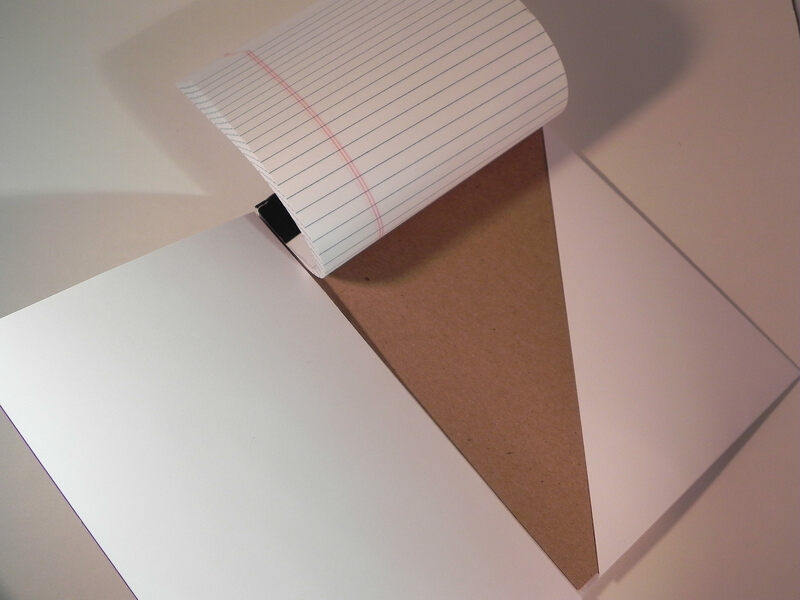 Pingback: I Don’t Like to Think… Jr. Legal Pad Cover | I Played With Paper Today!